Technorati is one of the oldest and most popular blog search engines that indexes, categorizes and tracks millions of blogs in the blogosphere. Since its launch in 2002, Technorati has become a leading authority as a real-time resource about what’s taking place in the blogosphere. Technorati’s annual State of the Blogosphere (SOTB) research study has chronicled the growth, evolution and maturation of blogging since 2004, and provides perspectives on current and emerging trends. The 2011 study, which surveyed close to 3,000 bloggers nationwide during September of this year, presents some interesting findings about the motivations and habits of “professional” bloggers—those who blog for business purposes—vs. hobbyists, who blog for the fun of it or to keep their family and friends informed. If you’ve ever wondered whether you’re on the right track with your business blog, take a few minutes to compare your efforts with those of the nearly 800 business-minded bloggers in the SOTB. You might be in for a pleasant surprise! One thing all bloggers seem to have in common—or need to have to be successful—is passion for what they’re writing about. But passion aside, professional bloggers and hobbyists follow very different paths. Reasons to blog. For business-minded bloggers, the motivation for blogging often revolves around attracting new clients for the business—either their own or the company they work for. Sharing expertise and experience with others is also an important reason to blog. Hobbyists tend to blog primarily to speak their mind on areas of interest. Time spent/week on blogging. The median time professionals spend per week on blogging is 3–5 hours vs. 1–3 hours for hobbyists. Almost half of the pros report that they’re blogging more often than they did when they started out, and they most typically blog 2–3 times per week. Style. Expert, journalistic, motivational, sincere and conversational are the key styles professionals say they strive for in their blog. Sincere, conversational and humor are the key blogging styles for hobbyists. Types of media used. Professional bloggers use a variety of media in their blogs. Most frequently, they include photos (average 83%), followed by video (59%), spoken audio (15%) and music (10%). Only about 11% use nothing but text in their posts. Hobbyists are less likely to use video and spoken audio and more likely to use music in their posts. How to measure success. Business-minded bloggers use various metrics to measure the success of their blog. Tracking the number of unique visitors is the most favored means. But measuring the number and quality of new business leads; accolades from other media; and the number of subscribers, links and comments all are factors pros look at to determine their blog’s success. Hobbyists, by contrast, tend to measure success through personal satisfaction. Benefits to your business or the business you work for. 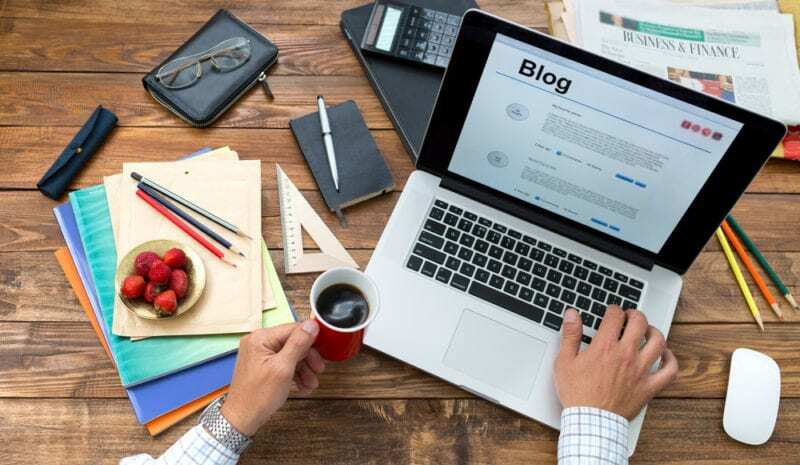 Probably the most important information for businesses to note are the benefits that blogging can bring to your company. As the following SOTB graph shows, the benefits are significant: Greater visibility, sales and thought-leadership are big winners, with very few reporting no impact on their business to date. When it comes to depth of information in the SOTB, we’ve barely scratched the surface in this post. If you can find time to read the full report, you won’t be sorry. But in the meantime, compare how you approach your business blog with the pros in this study and use the information to guide you going forward.